Viva Pinata turns a unique game idea into a fun sandbox simulation game with beautifully crafted graphics that can be enjoyed by all ages. Viva Pinata is published by Microsoft Game Studios and is available on PC and Xbox 360 (with spin-off games on the Nintendo DS). 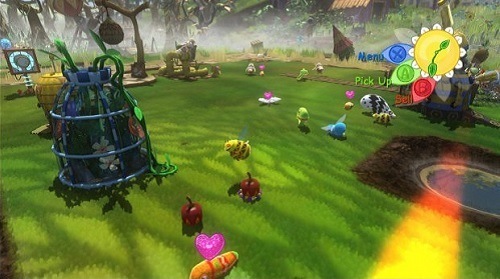 The focus in Viva Pinata is on designing the perfect garden in order to attract and breed the various pinatas that are present in the game. Viva Pinata offers a visually pleasing game with a focus on younger children and casual gamers, although older gamers will still enjoy being part of the experience. Customisation is also everywhere in Viva Pinata with players being able to customise pinata names and give them a variety of accessories to create a unique personality. 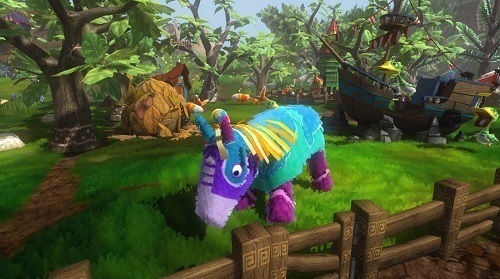 Viva Pinata borrows gameplay elements from a variety of games including The Sims series and Harvest Moon. Players start the game with a simple plot of land and by adding appropriate plants and features you can attract specific pinatas to your garden. Pinatas that are attracted originally start out as a black and white version with further requirements to turn them into a ‘resident’ where they turn into a full colour version. Once a player has acquired two pinatas of the same species they can breed together and create a pinata egg. Part of pinata breeding is a maze like mini game which gets progressively harder as you attract rarer species of pinata into your garden. All isn’t well in the world of Viva Pinata though, players must be on the look out for the Ruffians and sour pinatas who will invade your garden to make your pinatas ill while also destroying the beauty you have created. Unique game with wonderful graphics. Easy to learn gameplay is great for younger gamers. Build and design your own unique garden. Available on PC, Nintendo DS, Xbox 360 and Xbox One. Online functionality lets you visit other gardens.